In the wine industry, an AVA designates a specific geographic region as historically and topographically distinct, producing wines with distinguishable characteristics. Historically, most wine grown in Idaho, as well as some areas of eastern Oregon, had been a part of the Snake River Valley AVA. But thanks to Cunninghgam’s tenacity, and an application process that took two years, the sub-AVA Eagle Foothills became official in 2015. This told the wine world about the uniqueness of Eagle Foothills’ grapes. Idaho’s burgeoning wine community has grown, with many people deciding to put their own viticultural skills to the test. 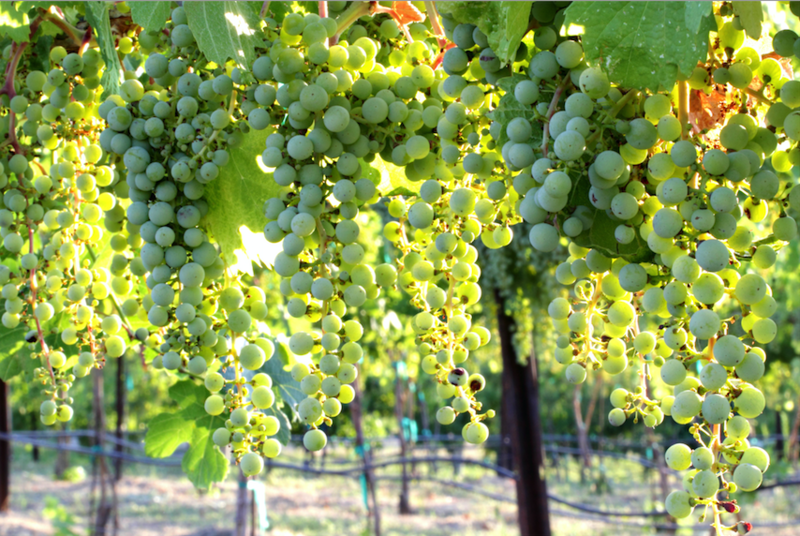 The first harvest labeled with the Eagle Foothills AVA was the 2014 Sangiovese, which was grown at Curlew Vineyards, owned by John Witte. The wine was labeled under 3 Horse Ranch Vineyards and received a score of 88 points from Wine Enthusiast. In this harvest season of 2017, the Eagle Foothills AVA is 12 grape growers strong. Grapes are still on the vines for the 2017 harvest, but 2016 was a good year. Some of the wines harvested from new growers in the Eagle Foothills AVA included Sangiovese, Cabernet Franc and Tempranillo. The Eagle Foothills Grape Growers Group (EGG), had their first meeting in May of 2017, to help Eagle Foothills growers network with each other and share experiences and advice. The objectives of each grower in the Eagle Foothills AVA are mixed; some are interested in producing wine under their own labels, others plan to sell grapes to other wineries and others still enjoy grape growing and winemaking as hobbies, producing solely for the consumption of their friends and families. Most growers agree, Idaho does not have enough grapes. Demand for Idaho wine is high across the Northwest. Sometimes producers have to go out of state to fulfill their needs, or simply don’t produce as much wine as they know could be sold in the current market. “We like the aesthetic beauty that it adds to the property…also there is a shortage of wine grapes…so you’re taking your land and making a positive contribution to the environment. When you look at the amount of water it takes, it’s a good way to manage the water resources on the property,” said Mark Pasculli. The Pasculli’s purchased their Eagle property over a year ago, and inherited three-and-a-half acres of Cabernet Franc that had been there for seven years; the vineyard was what drew them to it. Lee and Mary Parson planted grapes on their property, “Finca Besada,” earlier this year. Their wine-making daughter, Hailey, encouraged them to take up viticulture, knowing that the Eagle Foothills were prime for grape growing and that there was not enough supply to keep up with demand. In June of 2017, they planted their first grapes; 6 acres, approximately 2,000 Chardonnay plants, 1,100 Syrah plants, and 550 Malvisia plants a varietal typically grown in the Mediterranean. “We’ve had some miserable days up here…but we’re having fun at the same time. We’re exhausted, but there’s something so basic and fun about putting stuff in the ground and helping it grow,” Lee said. 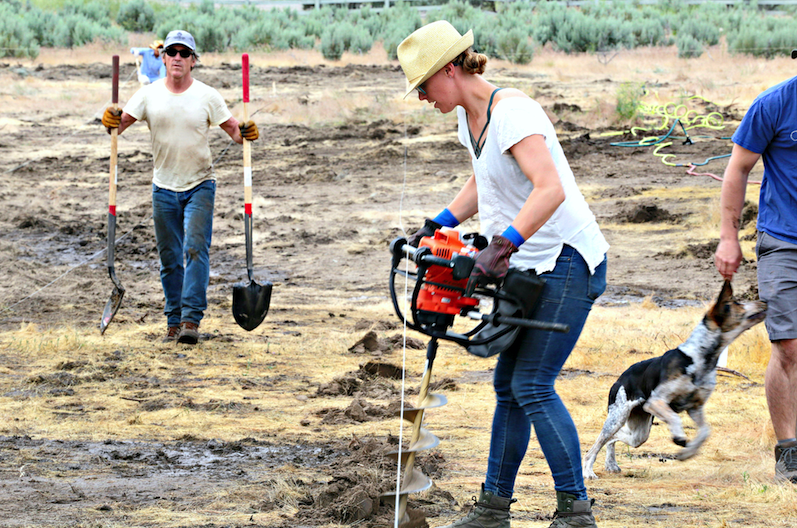 Trae and Johnna Buchert of Dude DeWald Cellars planted their first grapes about 14 months ago. 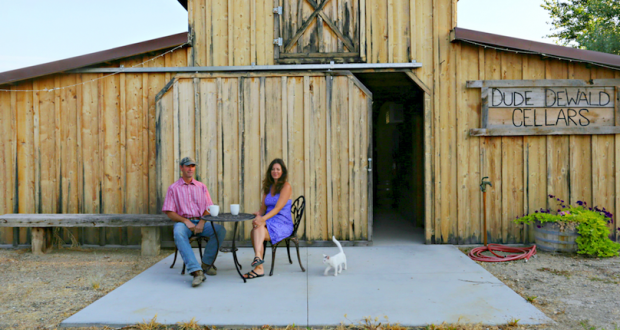 Prior to planting, Johnna has been making wine in their barn for almost seven years, using grapes that they would purchase as locally as possible. Trae Buchert has a background in agriculture, so after many years of buying grapes for their wines and seeing wine growing in Eagle gain traction, they decided to jump in and plant, starting with a quarter of an acre of Tempranillo. In the past the wine of Dude DeWald Cellars has not been available for commercial consumption, but Johnna was recently approved by the Tax and Trade Bureau as a winery, one of many steps that will get her closer to selling their wines. For now, Johnna and Trey are enjoying learning about winemaking and grape growing. For Pasculli and his wife Lori, agriculture has always been a part of their lives; Lori grew up on a vineyard that produced table grapes in Central California. Mark sees huge benefits in planting grapes, especially in areas where water shortages are becoming more and more common. If you’re curious to learn about Eagle’s burgeoning wine industry, you may be interested in the upcoming “Taste the Terroir” Eagle Community Dinner, held in Lakeshore Plaza. The event will celebrate Eagle’s terroir in all things, local meat and vegetables included, as well as wine. 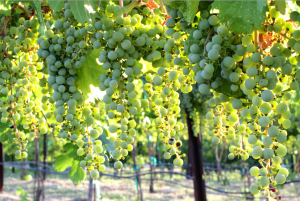 If you’re interested in planting grapes but don’t know where to start, you may be interested in future events put on by the Eagle Grape Grower’s Group, including a community lecture on how to get started. You can contact 3 Horse Ranch Vineyards at info@3horseranchvineyards.com to learn more.